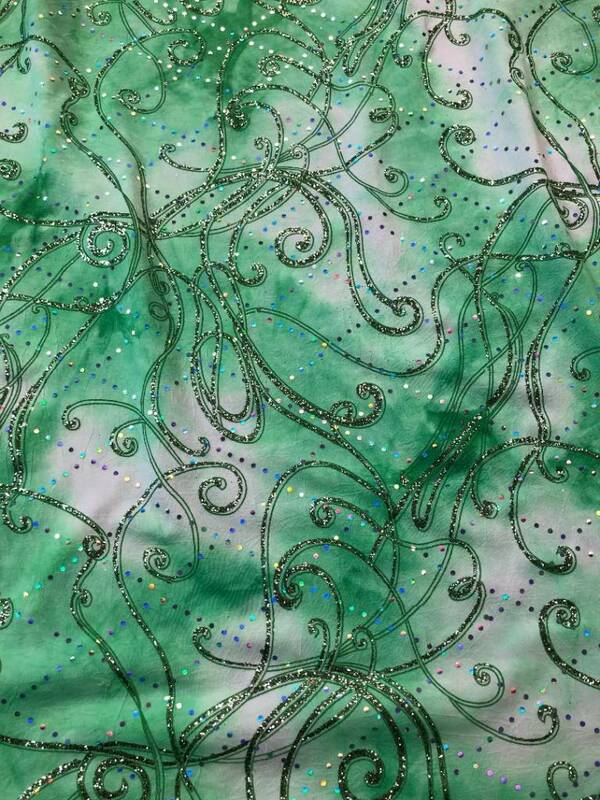 Neon Green Tie Dye stretch fabric. 1/2 yard only. Great for Dancewear, swimwear, costumes, leggings. Sold by the Yard. 58" wide. No returns on Cut fabrics.